I will admit a slight obsession with water features in the garden. Despite the illusion of privacy Hawk-Hill’s sprawling lawns and dense hedges create, we’re actually just a few hundred yards from Joplin’s most traveled road, and well within the range of its light and noise pollution. I started exploring the options for water features after reading an article about the heath effects of long term exposure to noise pollution and how white noise (like water features) can negate these effects. 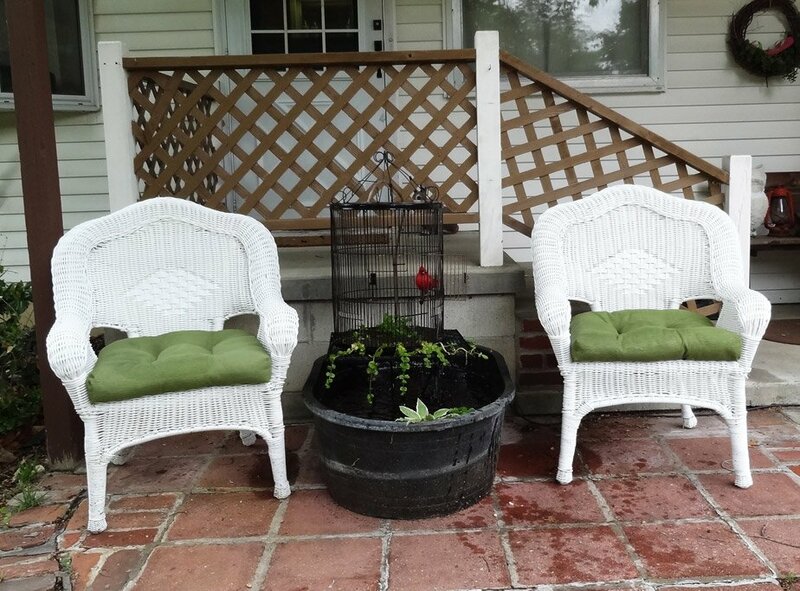 My first and largest water feature was a 2,000 gallon pond with several waterfalls, but since learning how quick and easy it is to built a water feature I find myself throwing together small features on the main porch or back deck every season. 1. A vessel to capture falling water – a trough, large bucket, half-barrel, large planter without drainage holes, etc. 5. Flexible tubing to direct the water into, onto, or through the focal point. 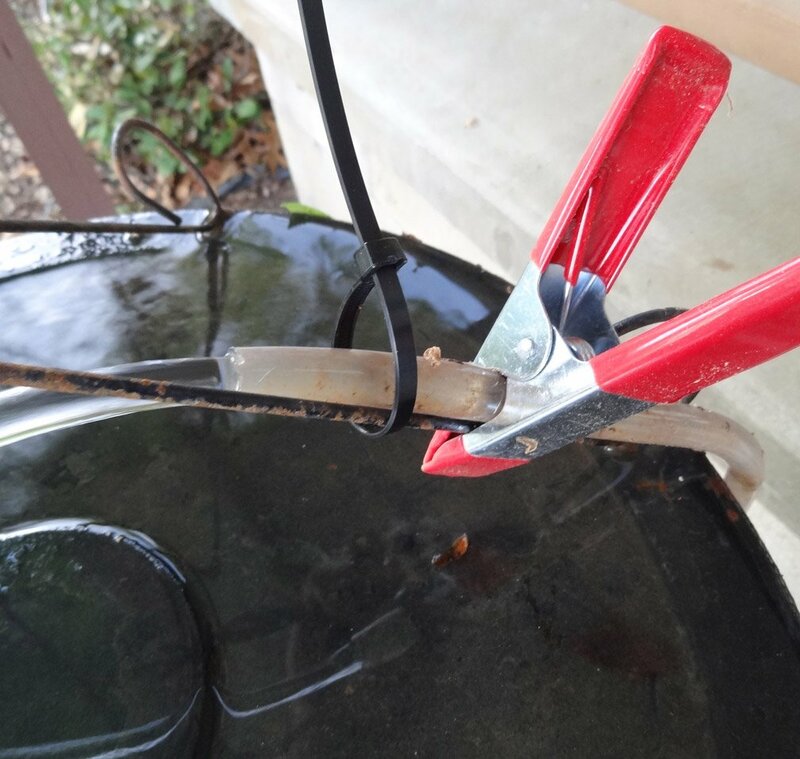 (Take your pump with you to a hardware store to make sure you purchase the right diameter tubing on the first trip) If available, purchase a black or opaque tube to inhibit the growth of algae in the tube. 6. (optional) plants and other decoration. 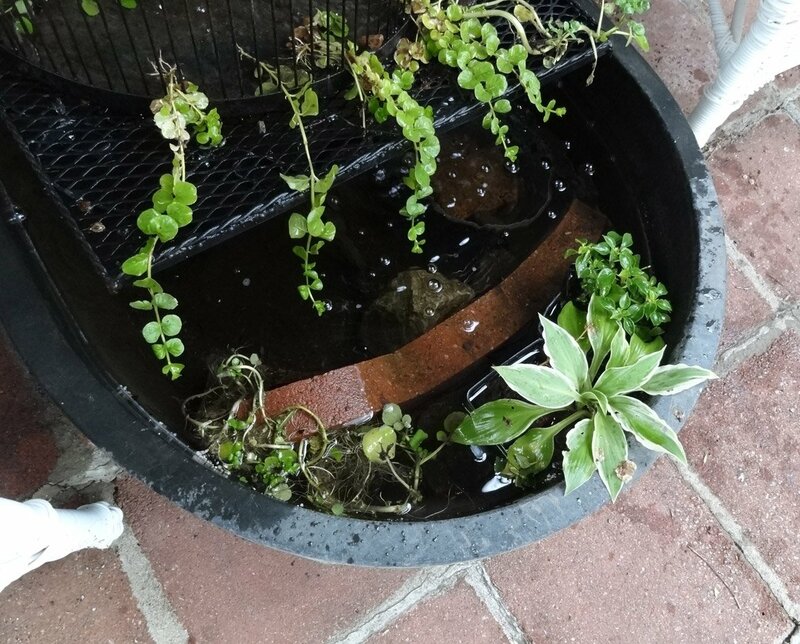 You can literally spend a small fortune on water plants, however several common plants from any garden center grow happily submerged completely in water. See below for my favorites. Step 1: Place your vessel, and situate your riser in the center. 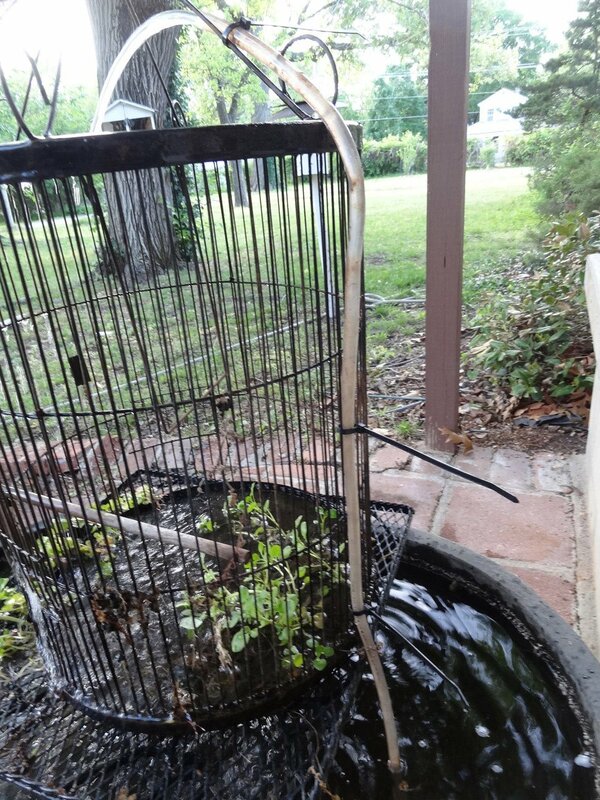 You won’t be able to move your fountain once filled with water, so choose your placement carefully and keep in mind you’ll need to be within an extension cord’s reach of an outlet. A closer look at my riser. 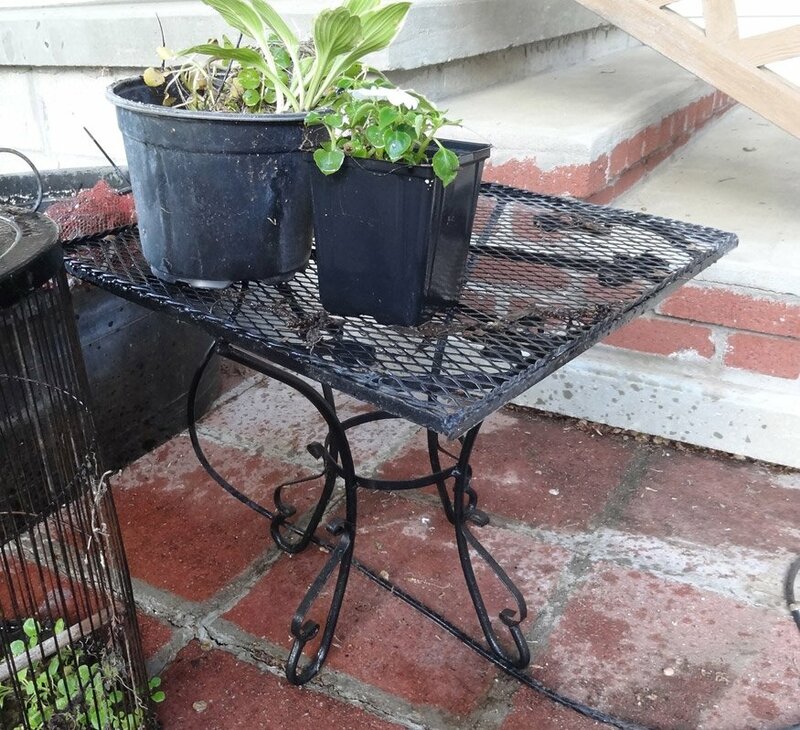 I picked this table up for $5 at a garage sale and the perforated top makes it perfect for a fountain. Setting up your pump properly will help it last several seasons. One way to care well for your pump is to place your pump inside a mesh bag (lingerie washing bags or mesh onion bags work best). 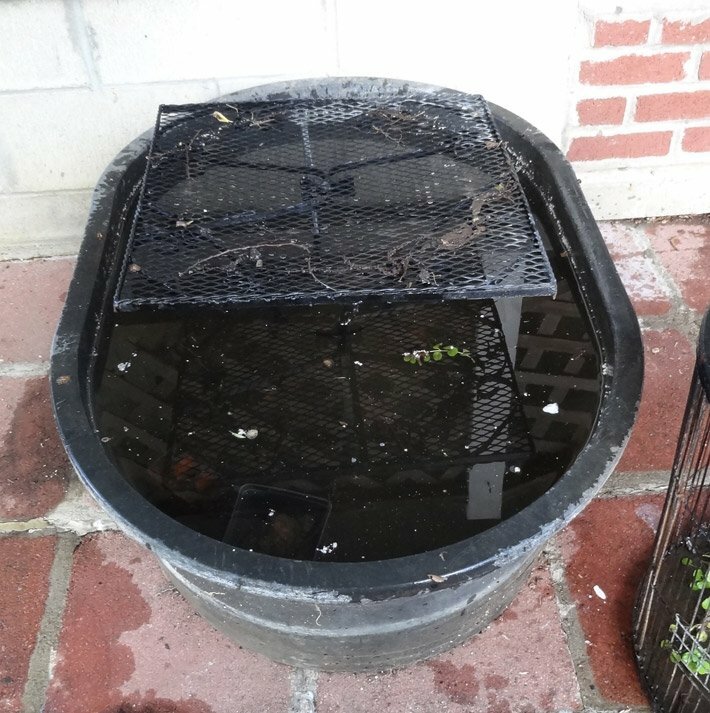 A mesh debris shield will help keep leaves from clogging your pump. Drop your pump in the lowest vessel, preferably elevated slightly off the bottom. Placing a brick or flat rock under your pump will minimize the amount of sediment entering your pump and minimize wear and tear on the pump. 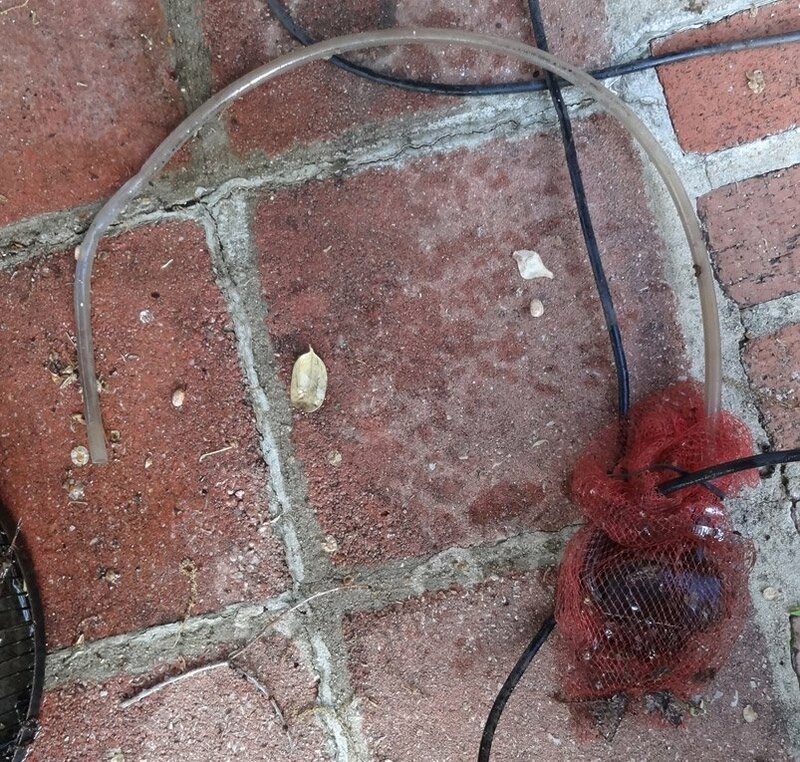 Small garden Fountain pump in mesh onion bag to filter debris. 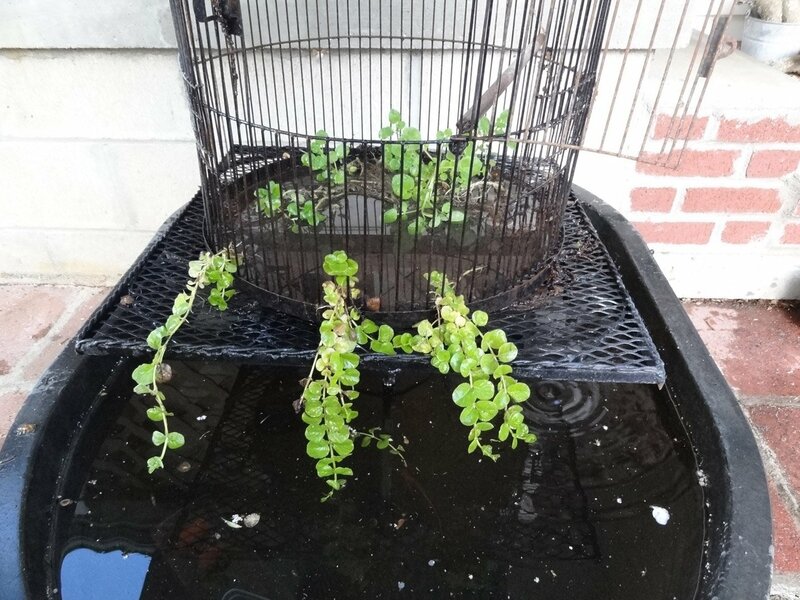 Fountain element, before stacking, with Watercress in the base and Creeping Jenny tucked into the bars of the birdcage. 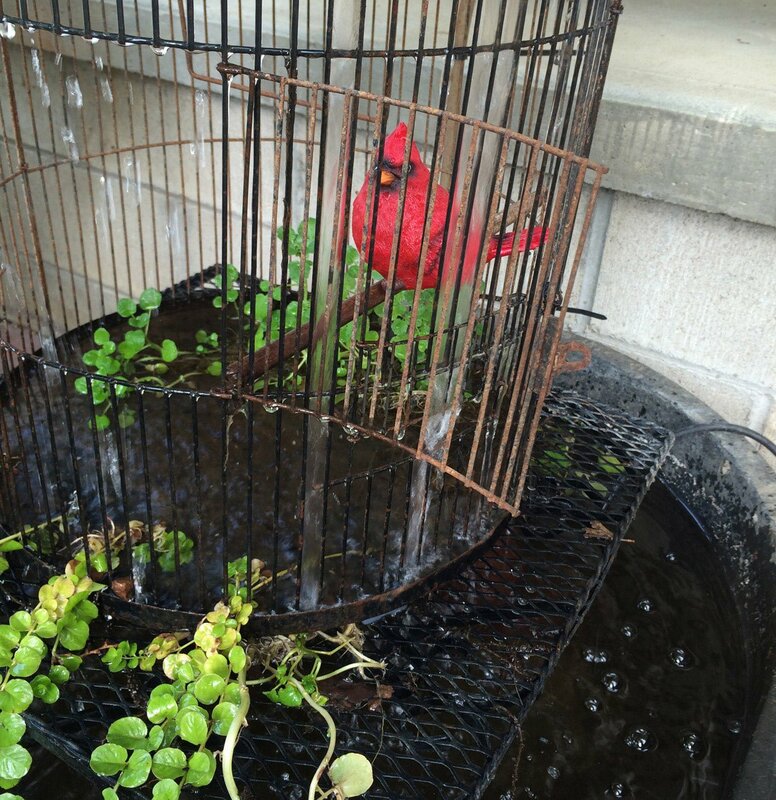 Feature element, riser, and vessel are the basic elements for a fun and funky garden fountain. Fountain elements stacked and ready for water pump installation. 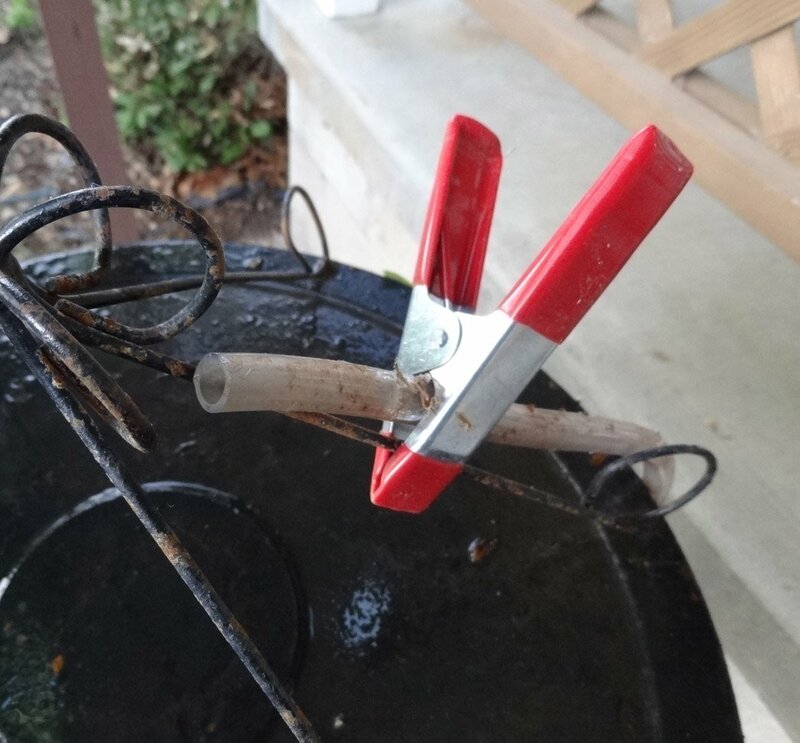 Use clamps or clothespins to test different placements for the tube, as placement will dramatically affect how your fountain looks. At this point, you may want to adjust the flow of your pump. Most pumps include a dial on the main body which will boost to maximum flow or reduce the flow. 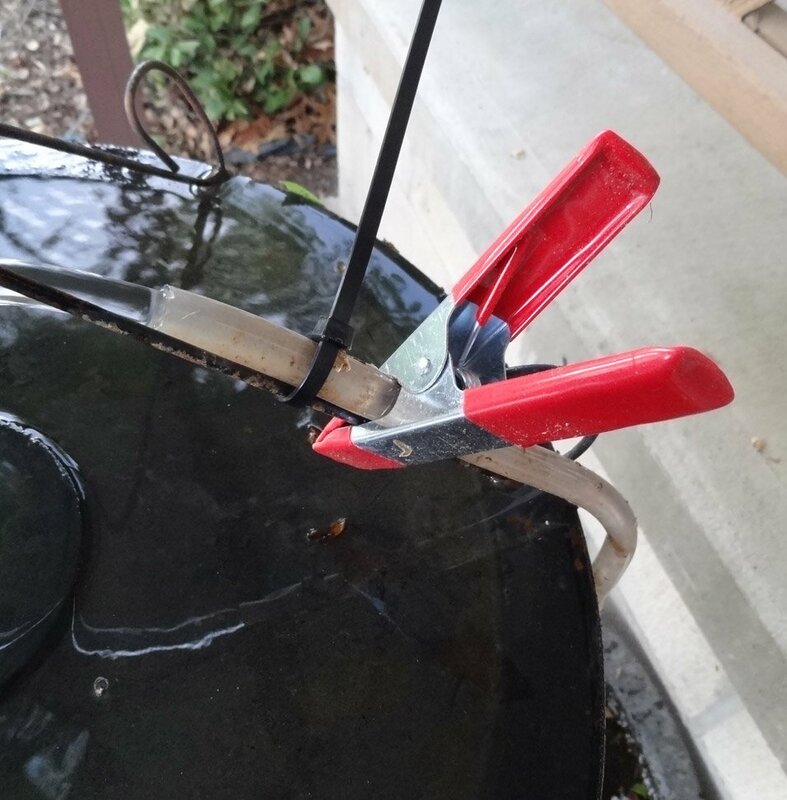 Once the outlet tube is secured, you should have a unique and functional fountain! Finish by making slight adjustments to the flow of water and arranging water plants. 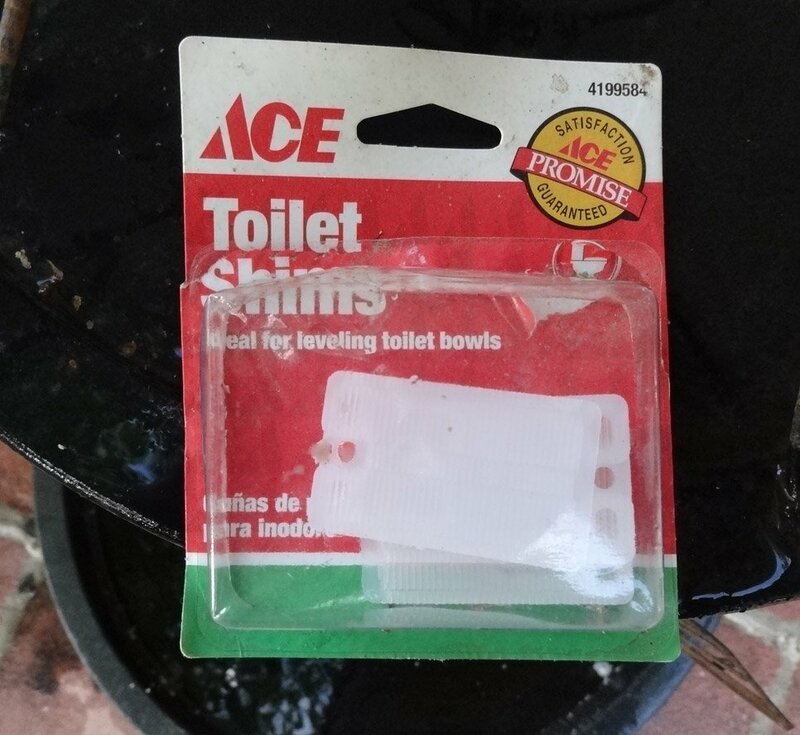 Plastic toilet shims work great for making tiny adjustments to change how the water flows over the elements of your fountain. For more dramatic leveling use bricks or tiles. 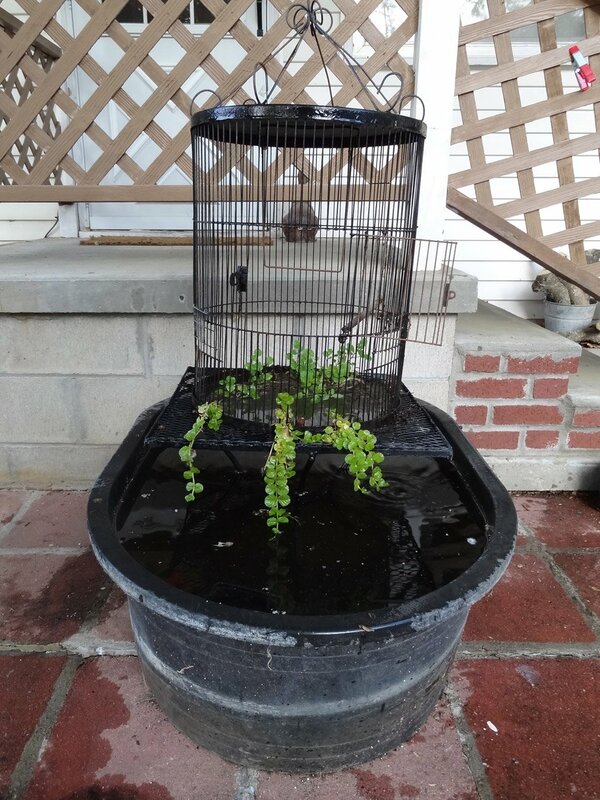 Adding plants makes your fountain look more natural and refreshing, plants also slow the growth of algae so you’ll have to drain and refill your fountain less often. Non-specialty plants – water plants are generally expensive at garden centers because they are specialty items. 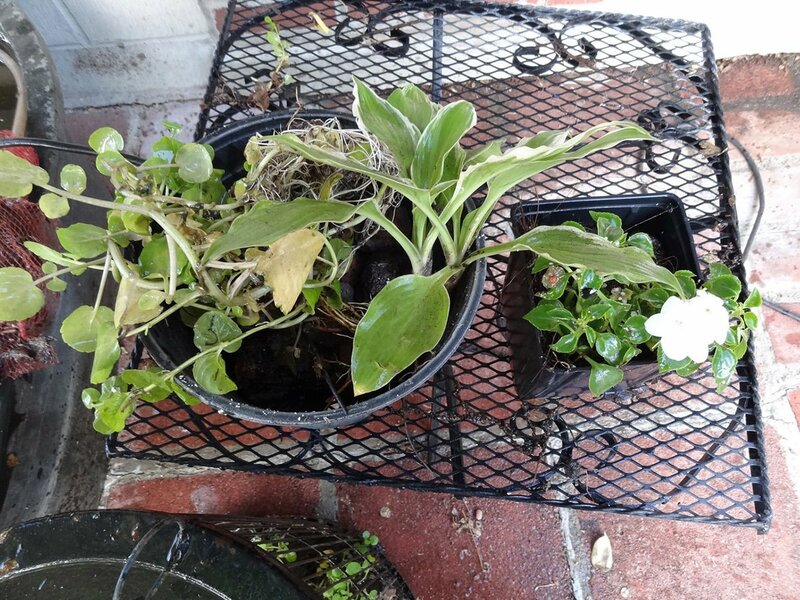 Instead, look for Impatiens, Hostas, or Creeping Jenny. 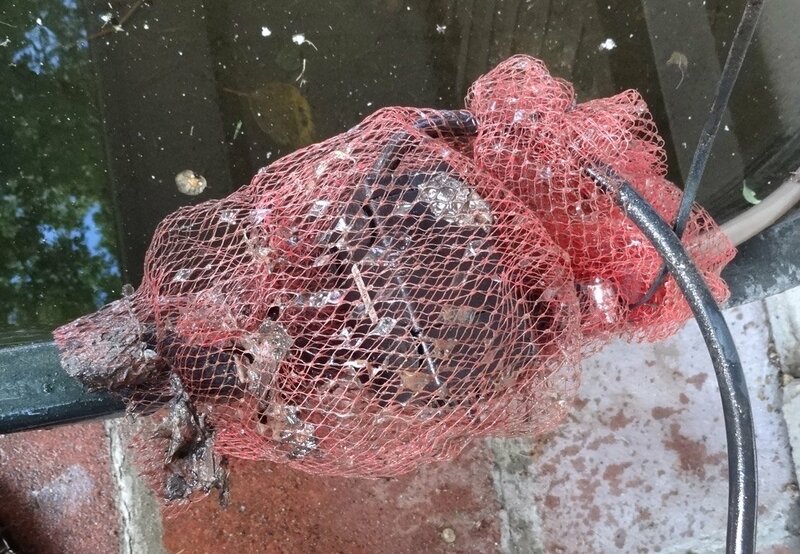 All happily grow with roots completely submerged in water. 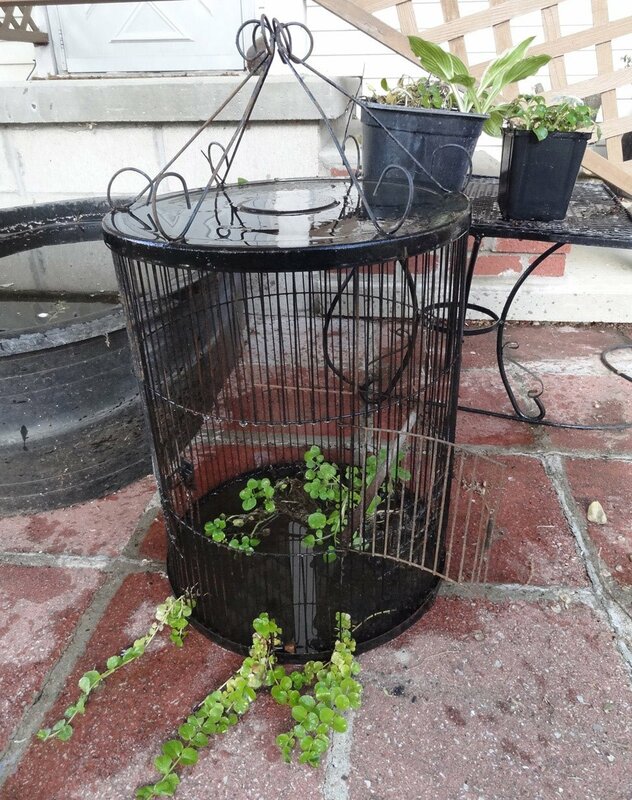 Check the grocery store – though it will die in the heat of the summer, true Watercress grows quickly and rapidly fills a fountain with bright green edible foliage in the spring and fall. Wild transplants – While you shouldn’t wade in and start pulling up plants at your local park’s pond, conservation areas and public lands often host a plethora of wild water plants. Keep and eye out where you can harvest a few specimens without disturbing the natural growth. 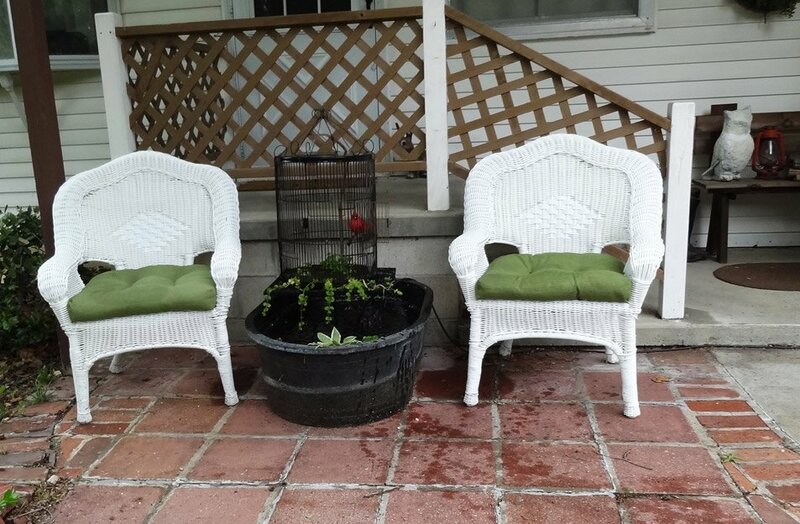 Left to right, creeping jenny, hosta, impatiens. Fountain basin planted, ready for plants to fill in and fill out. 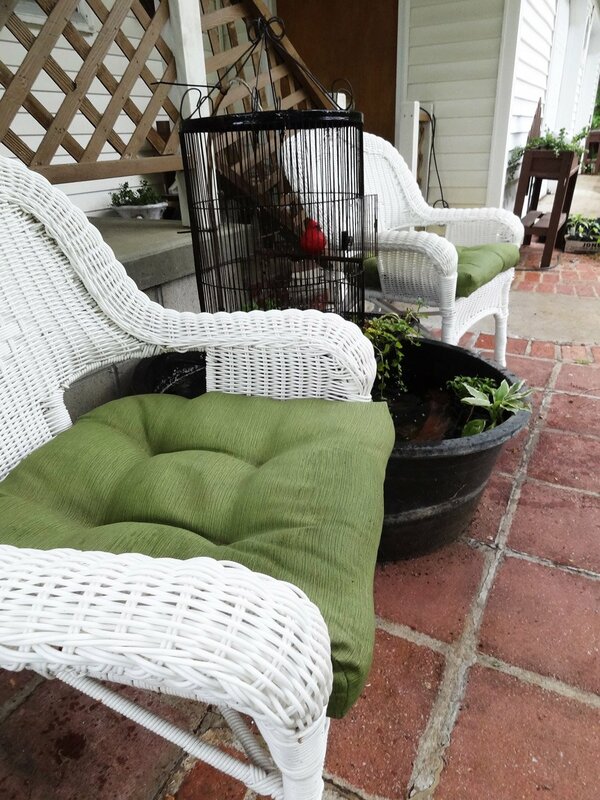 If you have pets or children, be sure to secure your plants in their pots, as shown.